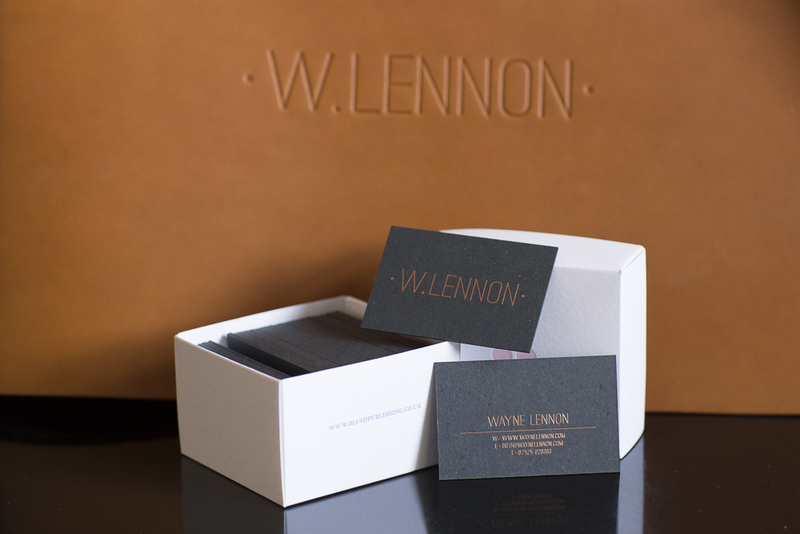 Business cards by Blush Publishing, Portfolio by Plastic Sandwich. We do like to see a package delivered by the postman, it makes a nice change from bills. Its even better when you know that box contains products from Blush Publishing, these guys are some of the best in the business and when I felt one of their letterpress cards in my hands I knew they were right for me. I had been discussing the new branding with my designer Hannah from TheyCallMeHan and she came through with the goods! the design is crisp, clear and has subtle details that set it apart. Perfect for what I wanted. Hannah gave me business card layouts and also the large logo for my portfolio (I'll tell you about the portfolio in another post) in the formats needed by the printers, and helped out with bringing together the vision I had for the final pieces. Blush were great at helping someone new to letterpress printing (like me) finalise the design and to get cardstock and foil colour right. They sent out plenty of samples, answered emails quickly and even called me a few times to keep me updated along the printing process (Oh yea and they tweeted/instagrammed me pictures of the card as they came off the press), They even let me have the plates that were used to print the cards when they were finished with, as I will be having these framed to put in the studio.... but more on that another day. The letterpress plates used to impress the copper foil onto the cardstock. If you would like one of the cards, or the see my portfolio, give me a call or email and we can set up a meeting.